There may be no crisp white tablecloths at Texture but make no mistake, this is a quality establishment. A quick glance at the calibre of the staff gives the first hint that this place is a classy eaterie: running the kitchen is former head chef at Raymond Blanc's Le Manoir Aux Quat' Saisons, Agnar Sverrisson. He's joined by head sommelier Xavier Rousset, also from the two-Michellin starred Oxfordshire hideaway. Now these two have swapped Oxfordshire for Oxford Street - or near enough - in what used to be Deya, an upmarket Indian backed by Michael Caine. The high ceilinged dining room and Georgian plasterwork make for sophisticated surroundings in which to sample the sensual dishes - where the texture, not just taste, of the food served up has been really thought about. The menu is French with a Nordic twist, thanks to Sverrisson's Icelandic heritage - he was born in Reykjavik. This means you get Icelandic cod and slow-cooked shoulder of Icelandic lamb cooked in a lighter, healthier style than the thick-with-butter richness you so often get at restaurants at this level. It's expensive - well, what do you expect from the ex-staff of Le Manoir - but it's also well worth it for a special occasion. Texture gyms, sporting activities, health & beauty and fitness. The best pubs near London Texture. Texture clubs, bars, cabaret nights, casinos and interesting nightlife. 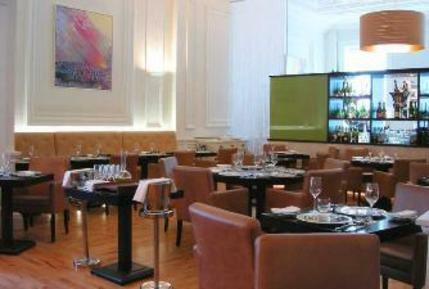 Where to have your meeting, conference, exhibition, private dining or training course near Texture. From cheap budget accommodation to luxury 5 star hotels see our discounts for Texture hotels, including Radisson Blu Edwardian Sussex Hotel from 88% off.